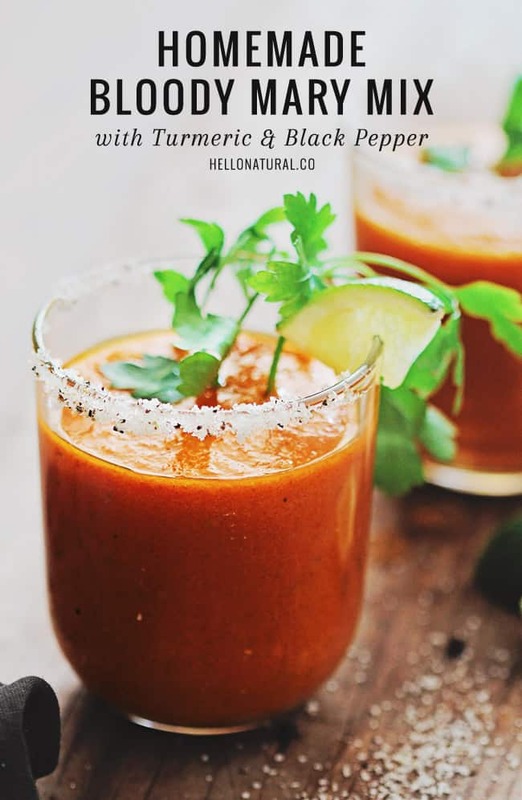 It’s pretty rare that you can use the words “healthy” and “cocktail” in the same sentence, but this healthy Bloody Mary is an exception to the rule. 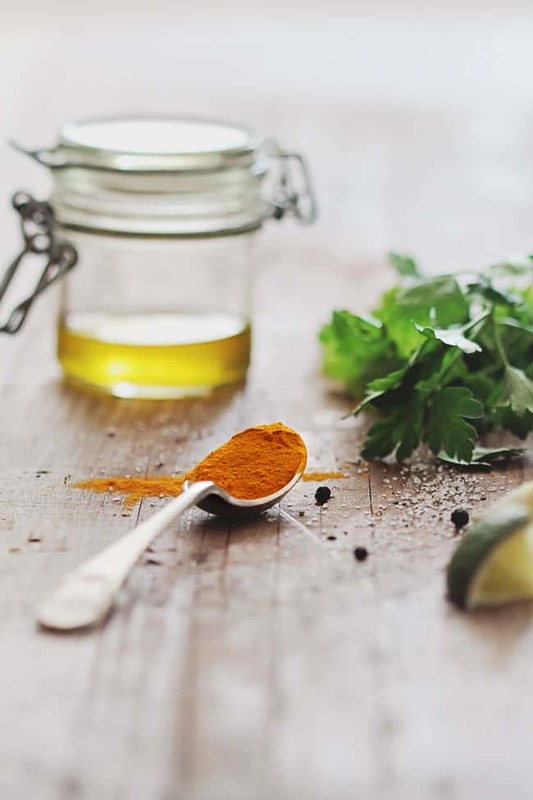 Packed with fresh veggie juice and herbs, the mix also contains the dynamic duo of black pepper and turmeric—which, when combined, are thought to be anti-inflammatory, pain-relieving and memory-improving. There are even studies that suggest black pepper augments turmeric’s cancer-prevention qualities. A little healthy fat, in this case olive oil, helps carry it into your blood via the small intestine. Turmeric on its own, or mixed into an almond milk “tea,” can even help beat the blues and insomnia. Try it without the alcohol, too—a Bloody Mary can be an easy way to get antioxidants and minerals if you’ve been slacking in the fresh-vegetable department lately. Think of it as a drinkable veggie tray! If you like your Bloody Mary spicy, simply add a few drops of your favorite hot sauce. We all know the garnish is half the fun, and those can be healthy, too. Try one of these, or get creative with whatever’s in the fridge! 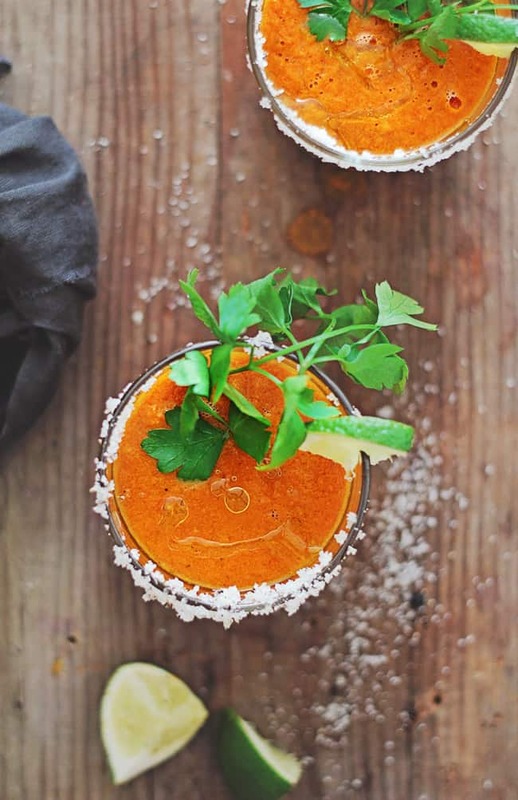 Turmeric, black pepper and fresh veggie juice make this homemade Bloody Mary mix perfect for brunch or healthy happy hours. 2 ounces vodka, if making with alcohol. Mix all ingredients (except vodka) together in a separate glass or pitcher. Put some salt (or celery salt) and black pepper on a small plate. Rub a lime or lemon wedge along the edge of a pint glass, then dip the rim of the glass in the celery salt and black pepper. Pour ice into glass, pour mix on top. Stir. Add 2 ounces vodka (a cucumber or basil-infused vodka would be lovely), stir again and add garnish(es). Yum, that sounds delicious. I love Bloody Marys, and don’t remember to make them enough! Love the garnish ideas.